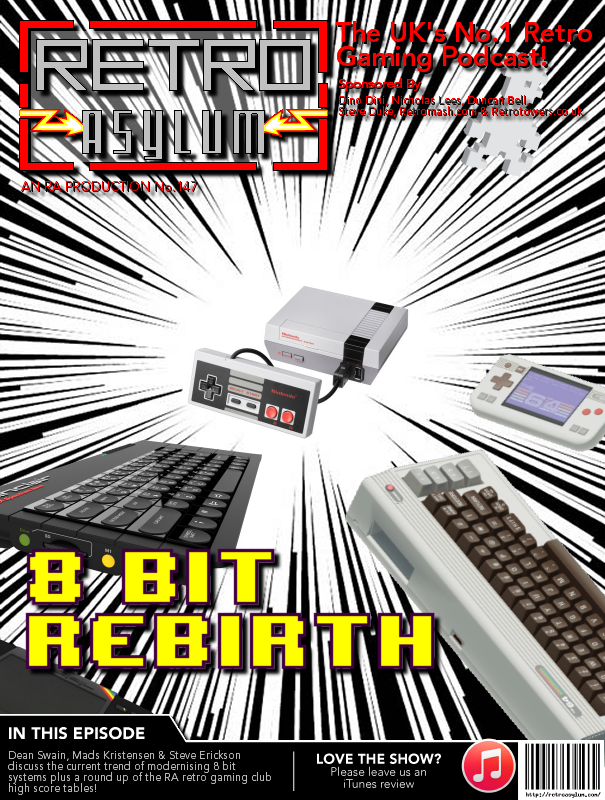 In this episode Dean Swain, Mads Kristensen & Steve Erickson discuss the current trend of modernising popular 8 bit systems of yesteryear in which Steve goes off on one, Dean is level headed annoyed over the colour clash backlash debate and Mads is the voice of reason. Plus there’s a round up of the RA retro gaming club high score tables. If you’d like to sponsor the show please visit our website at retroasylum.com and click the donate button at the bottom of our homepage. Everything pledged goes straight back into maintaining the site, so if you enjoy the show please consider donating. Any feedback is more than welcome and please leave us an iTunes review if you haven’t already.